Last week I had the opportunity to learn about something I know little about. ; dairy farming. When you think of dairy states you think of Wisconsin, and maybe California, you don’t think of Alabama. 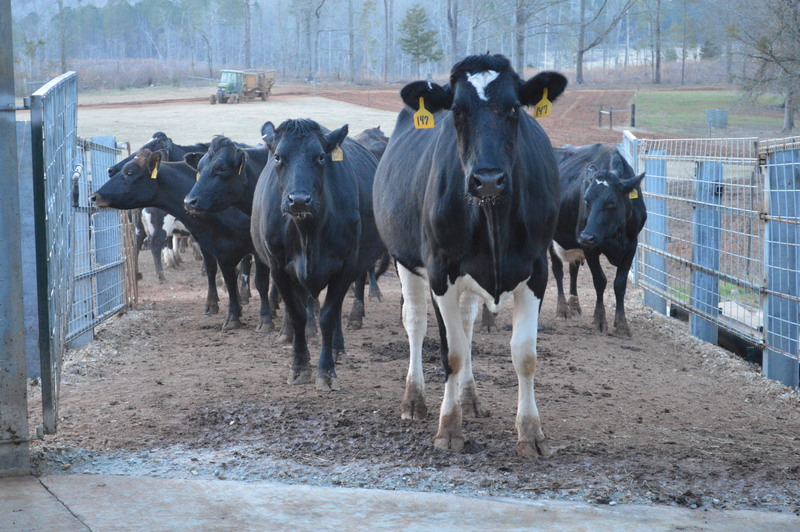 Alabama actually ranks #43 in milk production. The top dairy state in the United States are 1. California, 2. Wisconsin, 3. New York, 4. Pennsylvania, and 5. Idaho, however dairies are found in all 50 state and Puerto Rico. If you go back several decades we used to have quite a few dairy farms in Alabama, but many have went out of business. When I heard that there was a gentleman in Lee County who had started dairy farming recently I was very intrigued and asked if I could come visit. 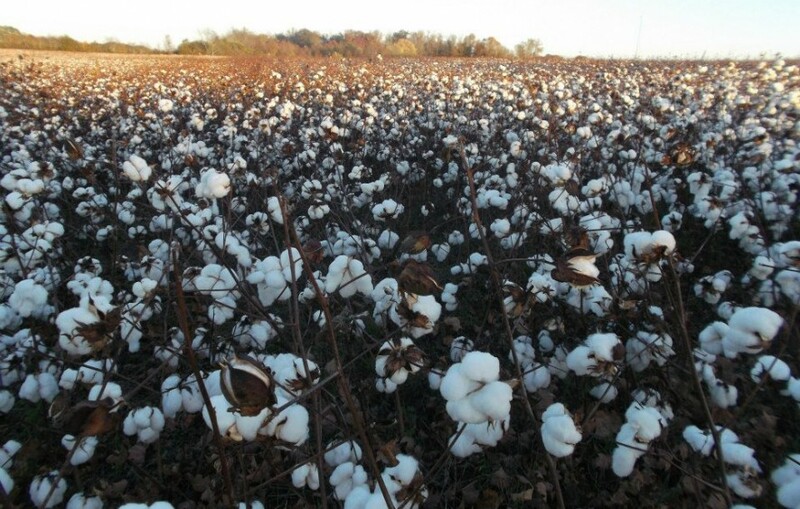 Dr. Rankins and his family reside in not too far from Auburn, Alabama on their family farm. 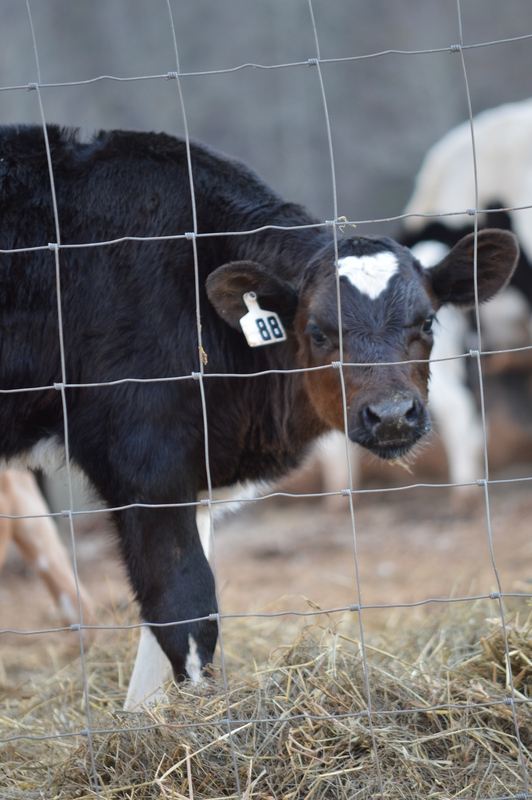 An Illinois native, he came to Auburn University 1989 and worked with livestock producers of Alabama for 25 years with his expertise in nutrition in beef cattle through research, teaching and extension. Rankins retired in April of 2013 after his 25 year tenure with Auburn University. “I decided after 25 years I was ready to do something different” Rankins explained to me. Rankins decided he wanted to get in to the stocker heifer business (having female calves usually 6-9 months old that you are feeding until they are of harvestable weight) or have a pasture dairy. After much consideration Rankins decided to enter the dairy business. 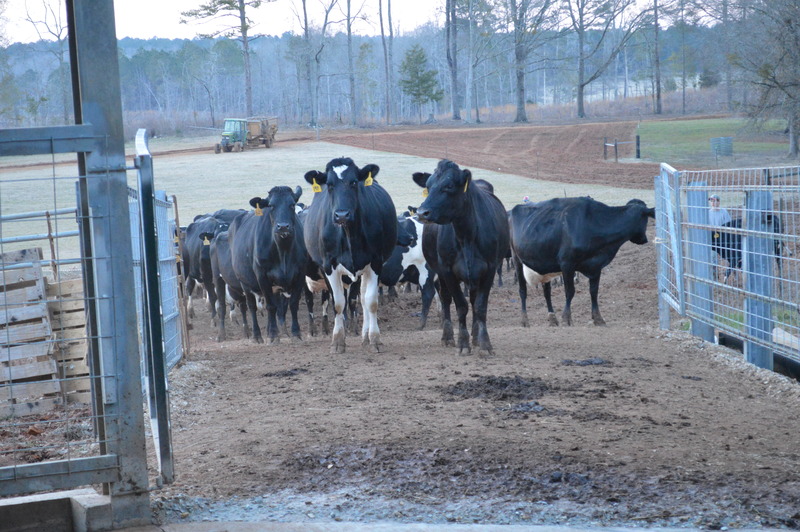 He started visiting other pasture dairy farms across the Southeast to get a better idea of how he wanted to build his farm. 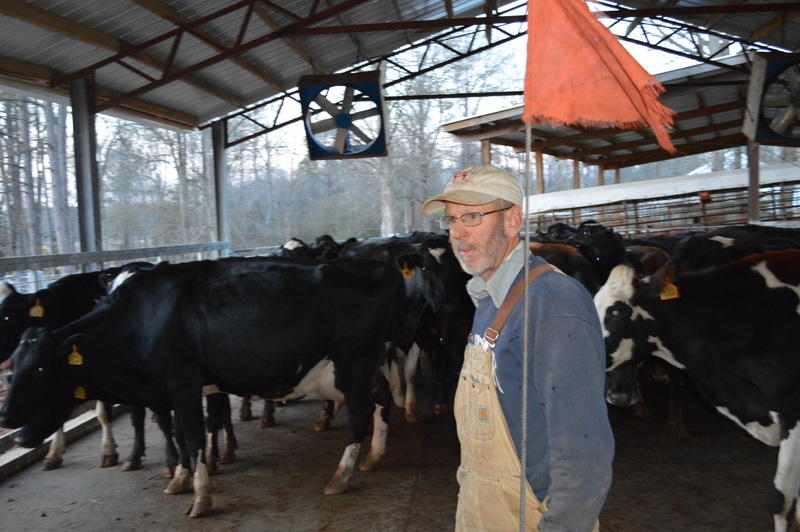 In April of 2013 after his retirement he started working daily on building his milking parlor (which is where the cows are brought to be milked). He built his parlor from the ground up all on his own. 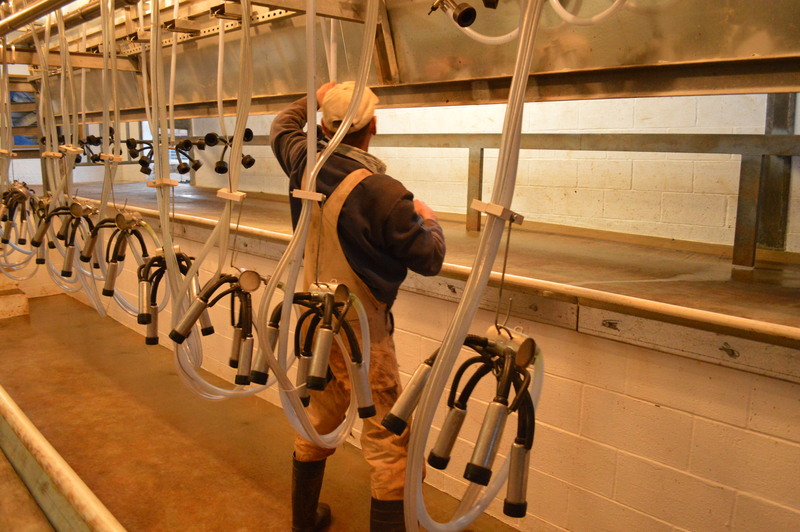 Right now Rankins is milking anywhere from 50-56 cows, 2 times a day. The number he milks varies depending upon when some of the cows are in their “dry period”. After giving birth the mother produces milk usually anywhere from 10-12 months and then has a dry period which is when milking is terminated about 60 days before the next calf is expected to be born. 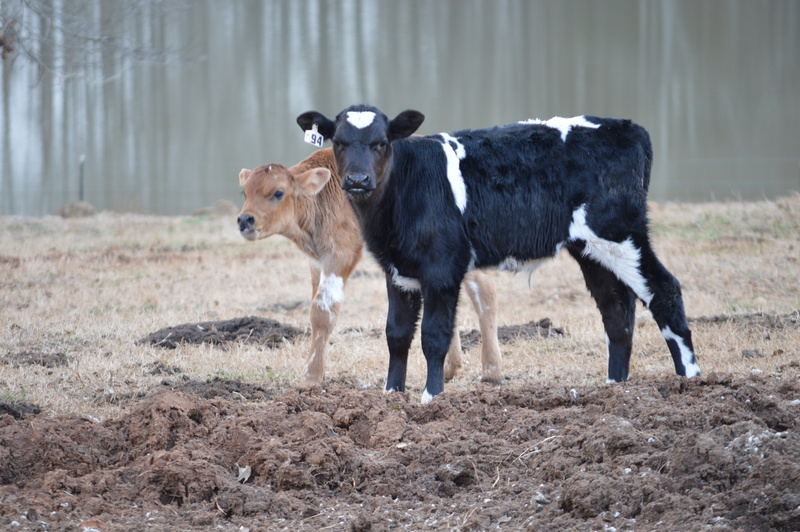 Since November, Rankins has had 18 calves to be born. Rankins milks in the morning and in the evening. His parlor can milk 12 cows at a time, but it holds 24 at a time so that he can be preparing the next 12 while the first 12 are being milked. 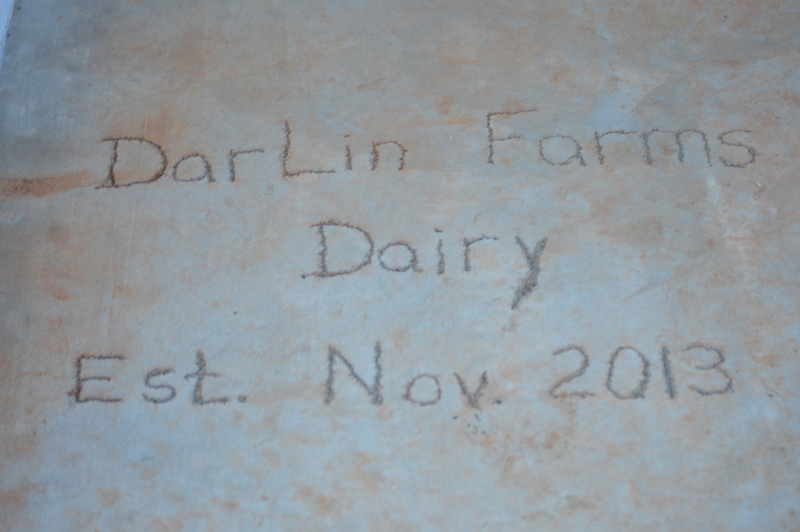 I was surprised the cows knew when it was time for milking and they made their way to the barn with a little encouragement from Rankin’s sons. Into the milking area they went.